COME TAKE A SEAT IN 'THE CHAIR'. Currently aiming to raise $20,000 via Kickstarter, (which they have already got near enough a quarter of that as of this writing) this is one film to get behind. With an all star cast including Bill Oberst Jr (Werewolf Rising), Naomi Grossman (Pepper in American Horror Story) and wrestling legend 'Rowdy' Roddy Piper. To be directed by Chad Ferrin (Someone's Knocking At The Door). 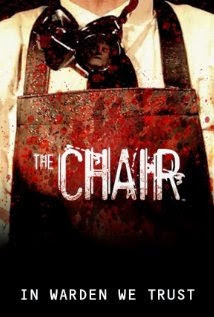 Check out The Chair (Teaser Trailer).